It’s one of those foods that I enjoy so much that I almost have no pictures of it and only one, taken over the past five years of smörgastårtas, before it’s cut. 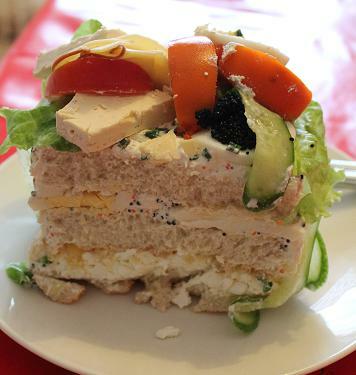 It’s pretty much exactly what you’re imagining, a sandwich in the form of a cake. 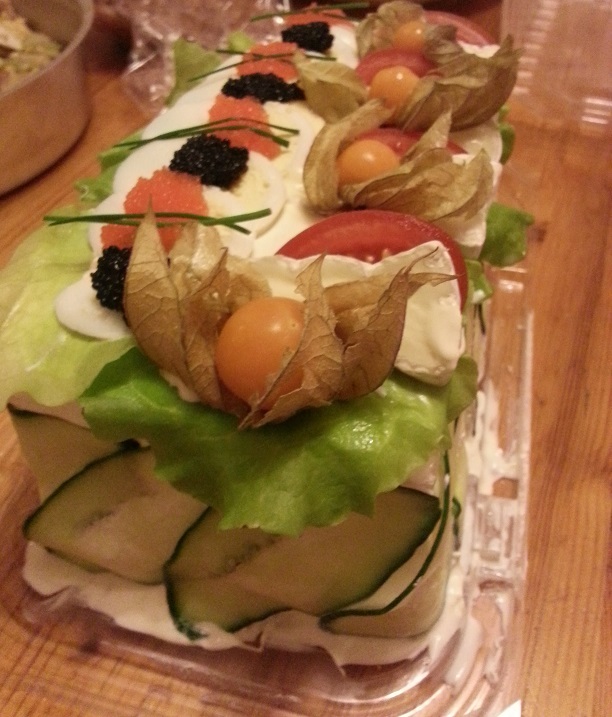 Bread layers with a variety of fillings and mayonnaise coating wrapped in cucumber and lettuce and topped with tomato wedges, cheese and caviar. 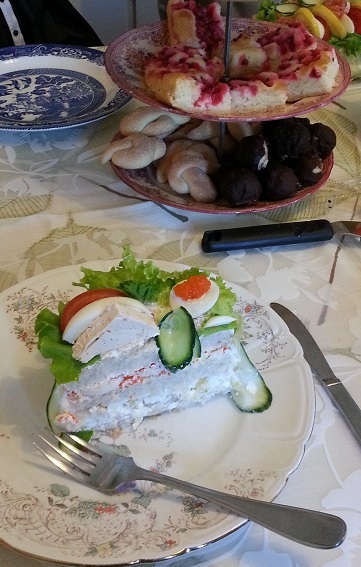 Ours are vegetarian and have a cottage cheese and pineapple filling between the bread and another of egg salad but they can be made however you like. I know they often have tuna salad between the bread on the meaty ones and rolls of ham on top. 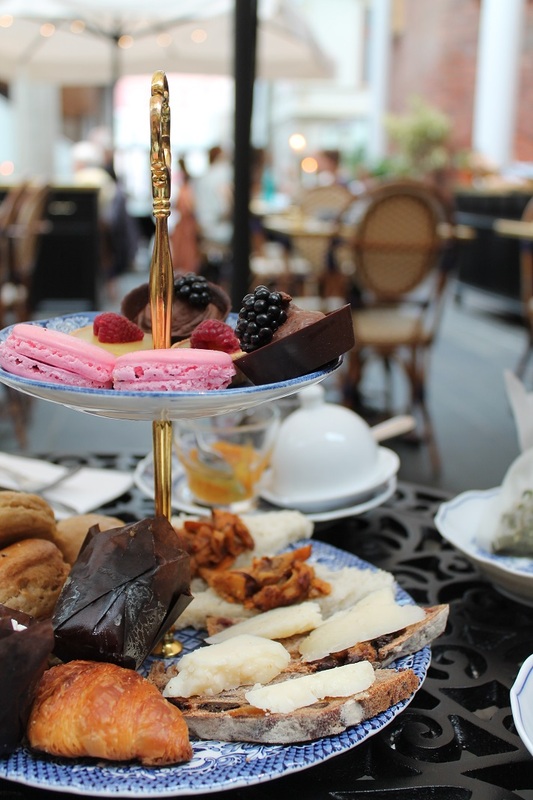 This might sound a little strange but if you ever have the chance to try it, go for it! These look amazing — can you please please please share your recipe?? I’d love to test these out for a picnic I have coming up next month!